Celebrities, rock bands and poltergeists – LES hotel is chock full of stars and spooks. Welcome to The Bowery Hotel! This swanky Lower East Side hotel may be known for its style and celebrity fans, but it allegedly also has a much darker side. According to rumors1, The Bowery Hotel has elevators that go absolutely berserk every night at approximately 1 AM. It has thus been unsurprisingly deemed one of the most haunted places2 in New York City. Haunted lifts that like to stop randomly in the middle of the night are the least of employees’ concerns. Many other strange and creepy things happen frequently at The Bowery Hotel. One guest, for instance, was welcomed by a female spirit dressed in white when he checked into his room. Another had his beer glass spilled all over him, though he was sitting by himself. 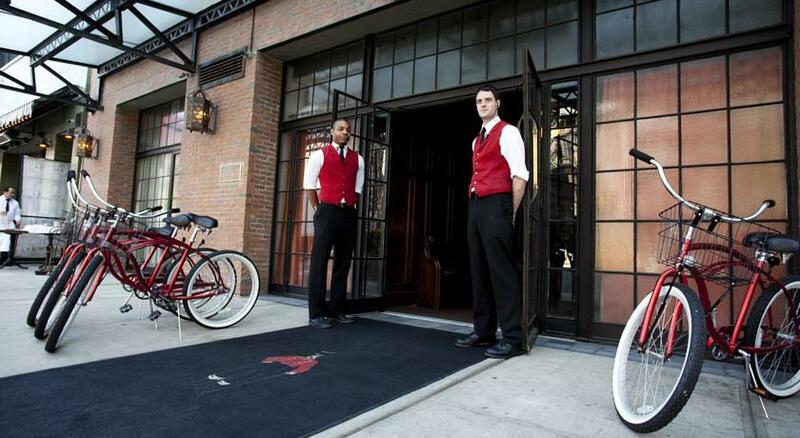 At The Bowery Hotel, staff welcome you… and so do the its resident ghosts! Perhaps many of these ghosts have wandered over from the New York Marble Cemetery, which lies right next to The Bowery Hotel. The cemetery, the first non-sectarian one in the city3, has served as the final resting place of prominent New Yorkers – including Whig mayor Aaron Clark, Congressman James Tallmadge, Jr. and Erie Canal engineer Benjamin Wright – since 1830. Another name that it goes by is thus “a Place of Interment for Gentlemen”4. Some say that The Bowery Hotel is built over some of its oldest graves. The New York Marble Cemetery. 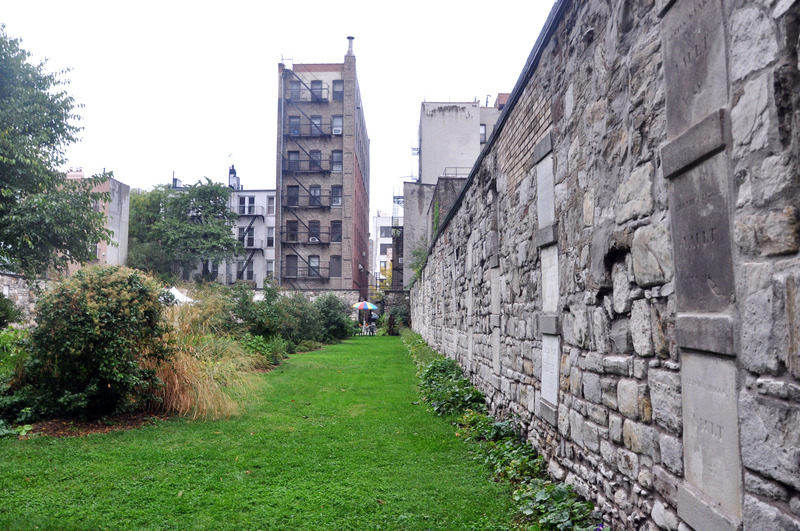 Many guests at The Bowery Hotel don’t realize that a graveyard lies right next door! The neighborhood’s past also contributes to the hotel’s haunting. Before the Lower East Side was attracting party-goers and the fashion-forward, it catered more to the derelict and was one of the city’s most impoverished areas. From cheap retail stores to even cheaper brothels and flophouses, shady businesses blossomed there. The historic Bowery district, which runs through the Lower East Side, was especially known for such “low-brow”5 activities. Frequent turf wars between gangs of the notorious Bowery Boys also made the area a very unsafe place to live. Born, the self-proclaimed “inventor of the boutique hotel”7, added The Bowery Hotel to his portfolio of holdings after the neighborhood’s revitalization. In the 1970s, all the danger and destitution in the area had begun to slacken, and by the late nineties, the Lower East Side had finally established itself as a neighborhood worth visiting. Museums, theaters and comedy clubs attracted tourists, while high-rise condominiums drew in wealthy nesters. Its earlier era of danger and destitution seem to have been long forgotten, but its ghosts remain. One spirit is that of a prostitute named Annie Moore, who worked at the infamous brothel called Suicide Hall. Her murder in 1906 – “the killer slashed her throat and mutilated her body”8 – is still unsolved. 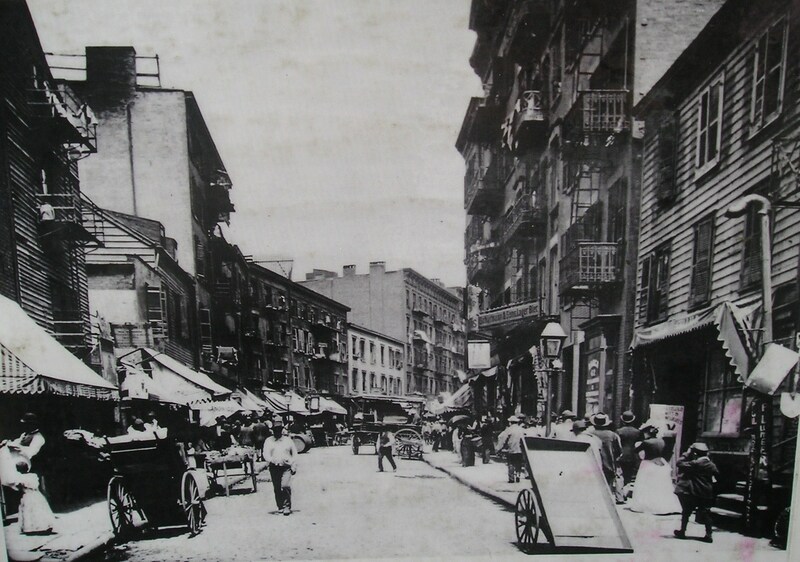 The Lower East Side, in the early 1900s. The Bowery Hotel, built in a fake factory building with seventeen floors, began offering rooms to travelers in 2007. Locals, hipsters and night owls soon became fans of its art-deco decorated bar and beautiful outdoor courtyard, where they can sip cocktails and possibly spot celebrities, like Johnny Depp and Amber Heard9. Fans of interior design will especially adore The Bowery Hotel’s back patio – it’s decorated with colorful mosaic tiles and encompassed by iron gating. The Bowery Hotel is the epitome of gritty chic, and is thus very popular among rock band managers and musicians who are more interested in coziness than opulence. The floor-to-ceiling windows in every room ensure that guests get both plenty of sunlight and stellar views of the city. The lobby features dark wood paneling and is decorated with exotic carpets and antique armchairs. The great assortment of literature on its bookshelves offers those waiting to check in or out an intellectual way to pass the time. 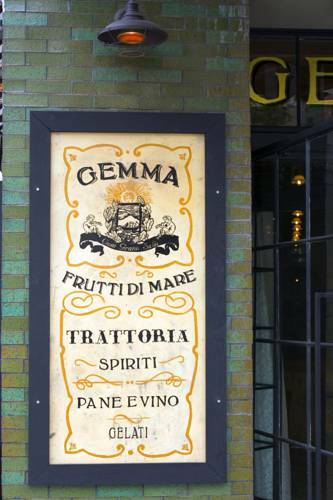 At its rustic, Italian restaurant, Gemma Trattoria, dinner guests can enjoy classics such as burrata caprese and margherita pizzas, or its signature “Spezzatino”10. Gemma Trattoria, the hotel’s restaurant. Unfortunately, big business came with big headaches for Robert Born. In fact, when The Bowery Hotel first opened, a crazy knife fight11 occurred right outside its doors. Born was also recently sued12 by his business partner, Gerald Rosengarten, for $50 million. Apparently, Born did not include Rosengarten in his plan to sell pieces of The Bowery Hotel, including its prized penthouse suite. And since the building was quoted to be worth some $13.5 million13 in 2011, the fight over the property has been heated. Besides The Bowery Hotel’s lavish penthouse, its event room14 is one of its most opulent spaces. Complete with its own private entrance, fireplace and outdoor terrace, it’s been used for photo shoots, award show after parties, weddings and galas. Just don’t be too sure that your stylish event won’t be interrupted by something paranormal! Though there’s no particular ghost that’s said to haunt The Bowery Hotel, many believe that it has a resident poltergeist that likes to stir up trouble. From moving around objects to playing with the hotel’s lights, this mischievous spirit likes to disrupt festivities. It’s a good thing singer Florence Welch didn’t accidentally burn it down15 when she stayed there in 2012, because you now have the opportunity to step into the elevator yourself during the wee hours of the morning and see what ghostly things occur! 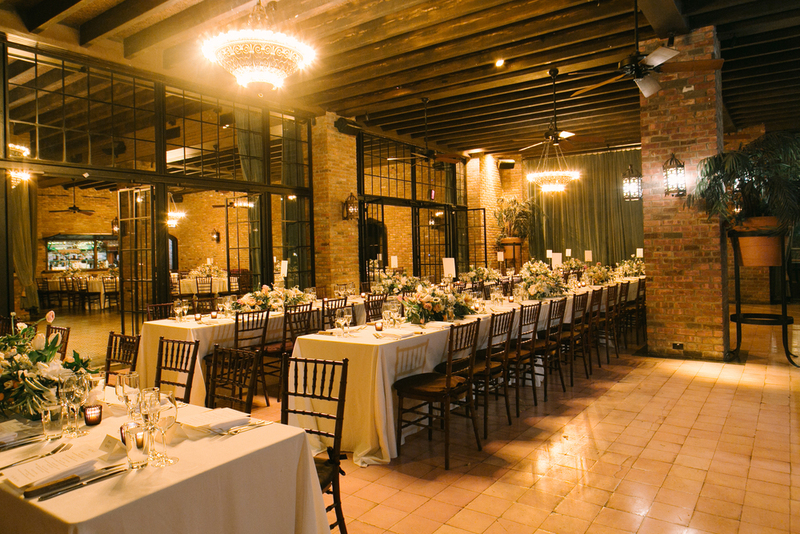 The Bowery Hotel is a great place to host weddings. And since you’re already in the area, make sure to visit some of The Bowery’s other rumored haunts. Stop by St. Mark’s Church16, Manhattan’s second oldest house of worship, if you want to run into the grouchy ghost of Peter Stuyvesant. He was the city’s last Dutch director-general and helped shaped a lot of lower Manhattan during the late 1600s. Stuyvesant is known to still stomp around, ring bells17 and sing at the church, probably because he lies buried in a vault under it. The church is a mere eight minute trek from The Bowery Hotel. Even closer to the hotel is the Old Merchant House18, located at 29 East Fourth Street. This creepy building (slash museum), built in 1832, is said to be haunted by the family who lived there “for nearly 100 years”19. Plenty of visitors have felt spirits brush pass them, even seen their shadows in mirrors. Read our post20 on the Old Merchant House for more! 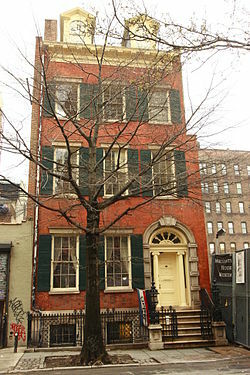 Right next to The Bowery Hotel – The Merchant’s House Museum. The old apartment building on 266 Bowery is also said to be haunted. Residents claim to always hear “knocking on the walls”21 and seeing objects move on their own. It’s just four minutes away from The Bowery Hotel. This is what makes The Bowery Hotel such a unique, haunted place to stay – it’s so close to other spooky spots! We doubt that you’ll get bored of the hotel’s own resident ghosts and rock star guests, though. Just be careful if you come down from your room to get yourself a nightcap at the bar – you just might get stuck in the elevator with something sinister! 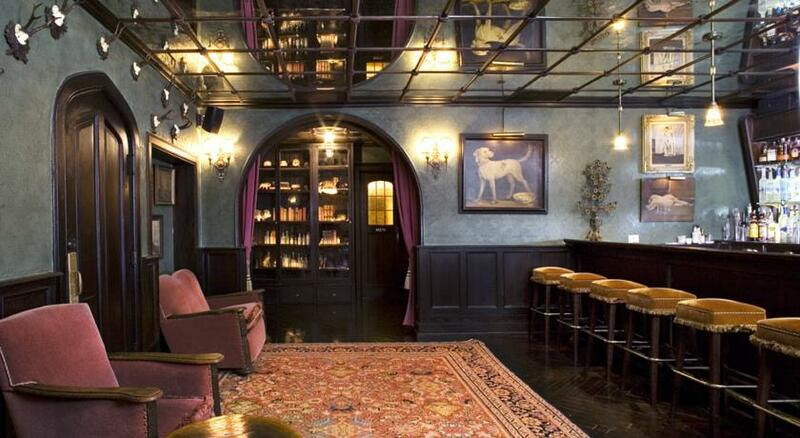 The lobby bar at The Bowery Hotel – get your drink on with some ghosts! cityfile. “Bowery Ghost Stories.” Gawker.com. 23 October 2008. Web. 3 January 2016. Fishbein, Rebecca. “Manhattan’s most haunted places.” TimeOut.com. 21 October 2011. Web. 3 January 2016. Para. 8. “New York Marble Cemetery.” New York Marble Cemetery, n.d. MarbleCemetery.org. Web. 3 January 2016. Para. 1. Gilbert, Megan. “Five Sites from New York City’s Secret Bloody Past You Can Still Visit Today.” Gawker.com. 11 June 2012. Web. 3 January 2016. Para. 6. “History.” The Bowery House, n.d. TheBoweryHouse.com. Web. 3 January 2016. Para. 2. Oswaks, Molly. “Inside the Haunted Hotel that Inspired American Horror Story.” Details.com. From December/January 2016 Issue. Web. 3 January 2016. Para. 13. Hofmann, Tess. 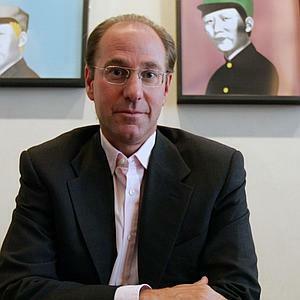 “Bowery Hotel co-owner stuck in legal battle with partner.” TheRealDeal.com. 19 May 2015. Web. 3 January 2016. Para. 2. Gainer, Elise. Ghosts and Murders of Manhattan. Charleston: Arcadia Publishing, 2013. Web. 3 January 2016. Page 21. “Johnny Depp & Amber Heard Share A Chilly Hand Sandwich In NYC.” PerezHilton.com. 23 March 2014. Web. 3 January 2016. “Dinner.” Menus. The Bowery Hotel, n.d. TheBoweryHotel.com. Web. 3 January 2016. “The Bowery Hotel.” New York Media LLC, 2016. NYMag.com. Web. 3 January 2016. Para. 1. Hawkins, Andrew J. 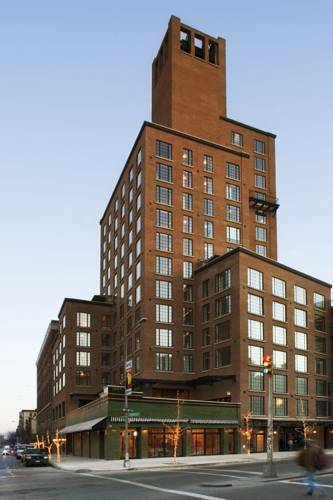 “Inventor of the leisure suit sues inventor of the boutique hotel.” Crainsnewyork.com. 4 August 2014. Web. 3 January 2016. Para. 2. Arak, Joey. “Loft’s Bizarre Contents; Bowery Hotel Ground Worth Millions.” Ny.Curbed.com. 9 March 2011. Web. 3 January 2016. Para. 2. “Events.” The Bowery Hotel, n.d. TheBoweryHotel.com. Web. 3 January 2016. Johnston, Garth. “Musician Florence Welch Set The Bowery Hotel On Fire After Late Night With Kanye.” Gothamist.com. 1 February 2012. Web. 3 January 2016. “St. Mark’s in-the-Bowery.” St. Marks Church-In-The-Bowery, n.d. StMarksBowery.org. Web. 3 January 2016. “East Village Halloween: A Neighborhood Ghost Walk.” The Local – East Village, 2013. EastVillage.TheLocal.NYTimes.com.Web. 3 January 2016. Para. 2. “Merchant’s House Museum.” Merchant’s House Museum, 2013. MerchantsHouse.org. Web. 3 January 2016. “Our Ghosts.” Merchant’s House Museum, 2013. MerchantsHouse.org. Web. 3 January 2016. Para. 1. NYGhosts. “The Old Merchant’s House.” Haunted Places. NewYorkGhostTours.com. 26 October 2015. Web. 3 January 2016. Grieve. “Blondie bemoans the scene; talks haunted Bowery homes.” EVGrieve.com. 29 August 2010. Web. 3 January 2016. Para. 4.